Here you can add your own words or remove existing ones. 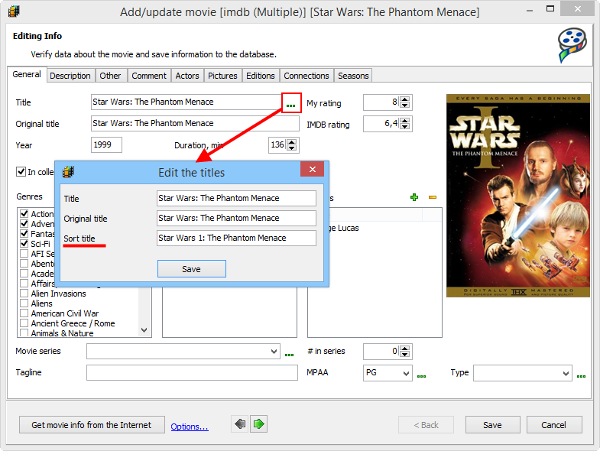 Additionally, you can create sorting titles for movies where they are missing (Fill out empty sorting titles) or simply regenerate sorting titles for all movies (Fill out all sorting titles). 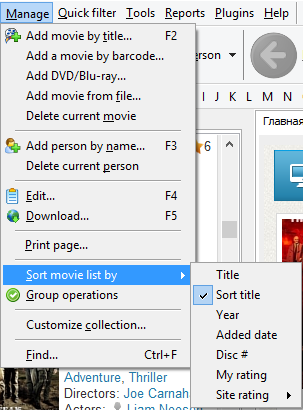 It is also possible to create sorting titles from original titles. 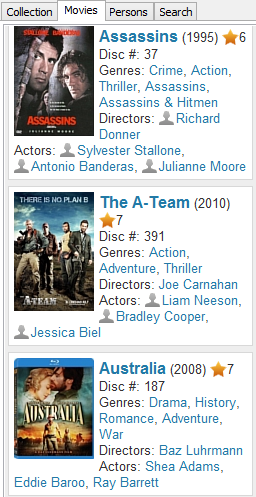 On the right, there is a "Filter movies by" area. It does not affect sorting, but it is essential for filtering. 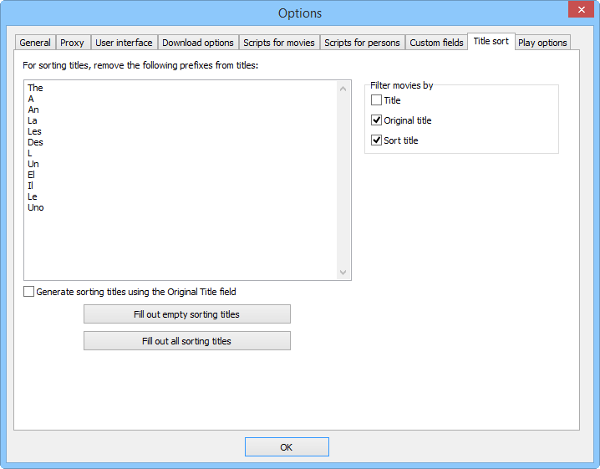 These rules are applied when you click a letter filter on the toolbar of the program. If you have a movie out of order, though its title seems to be correct, check its sorting title. You may need to adjust or re-enter it.